When I stood up in the morning, I thought, is this a good idea? 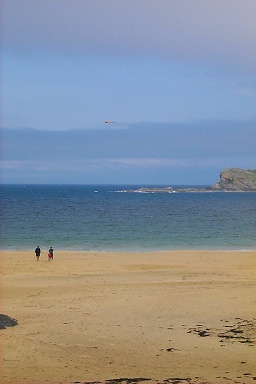 Should you really go to Colonsay today? The fog was so strong, you could hardly see a thing! 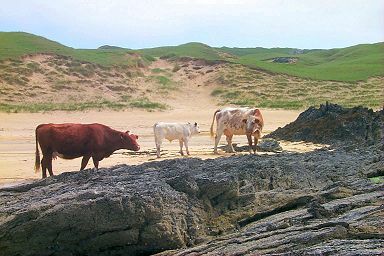 But then there's only the Wednesday where it is possible to go to the Isle of Colonsay from Islay on a day trip: On Wednesdays you can take the morning ferry from Port Askaig to Colonsay. The ferry then continues to Oban and returns in the evening for the return journey to Islay. 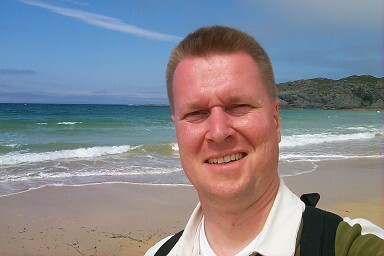 You have approx 5-6 hours on Colonsay. 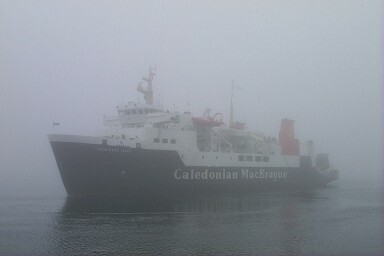 So I drove over to Port Askaig to see the ferry slowly appearing out of the fog. 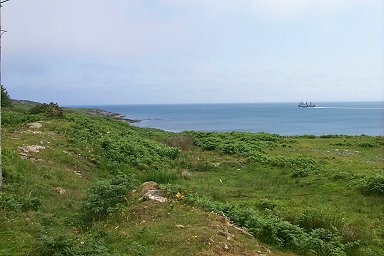 The day then turned out very nice: When we arrived in Scalasaig on Colonsay most of the fog had disappeared and at least near the coast it was warm and sunny. 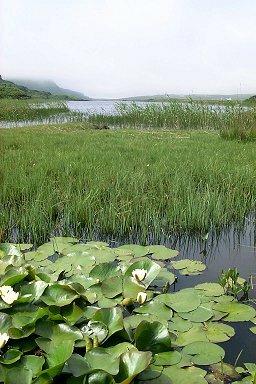 My first destination was Colonsay House, where I walked past Loch Fada. 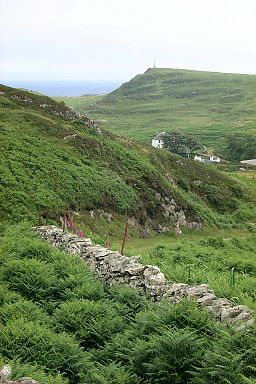 The walk from Scalasaig takes approx 1 hour through a beautiful landscape. 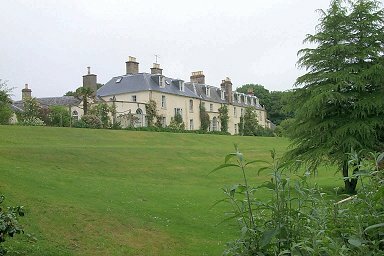 Colonsay House has a very nice garden with rare rhododendron and woodland gardens. In the garden you will also find the little statue/cross on the right: It stands at Tobar Oran well, which is dedicated to St Oran. The statue dates back to the 7th or 8th century and originally stood at Ruiasg Buidh, the ruined village. Unfortunately it was a little bit too late for the rhododendron, but I could still enjoy some of them. Much too early it was time to leave again to return to Scalasaig to catch the ferry back to Islay. I took a slightly different way back, using the path past Beinn nan Gudairan this time. On the right a nice view towards Scalasaig and the Monument. Early in the evening we returned to Islay after a very nice day. 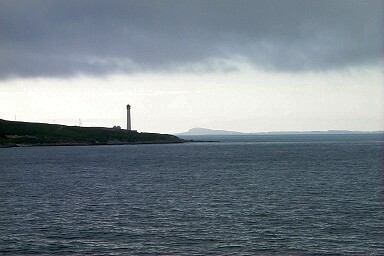 On the left Rhuvaal lighthouse at the northern entry to the Sound of Islay with the Isle of Colonsay in the background.